Contact Landon-Landon for your residential door needs. We get both steel and fiberglass doors from Hawkeye Building Distributors . 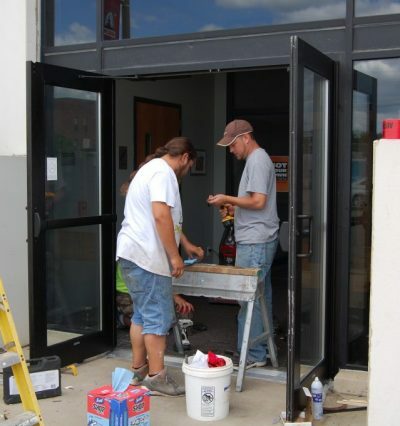 At Landon-Landon, we provide customized commercial doors for your business. For architectural aluminum doors, we go through CMI Architectural to customize to your specifications. For commercial steel doors, we use First Door out of Melbourne. Call Landon-Landon at (641) 753-6666 for more information and options.